Which species are considered ‘winged insects’? It’s summer which means you likely have been dealing with a good amount of buzzing happening around you at nearly all times whether you are inside or outside of your home. Winged insects are out and about at this time of the year and whether they have taken over the interior or the exterior of your house, you’re likely pretty irritated. 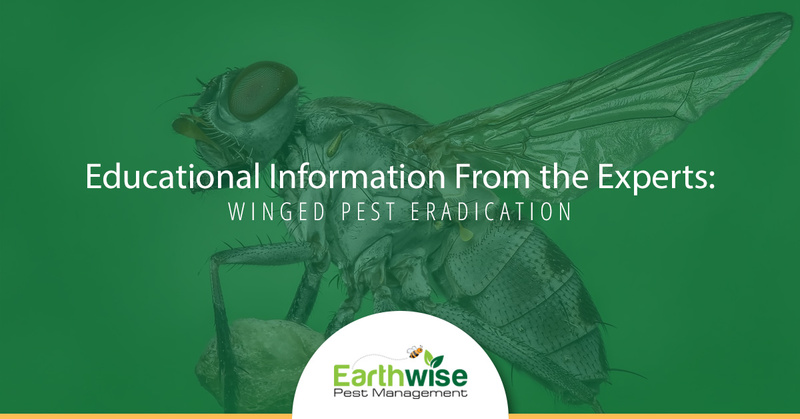 When it comes to winged insects, there are many different species that may be causing you to be extremely annoyed each time you are on your property. Some of the most common flying pests we see in California, however, are bees, wasps, hornets, boxelder bugs, mosquitoes, and moths. If you are sick and tired of dealing with these pesky pests, you need to know what you are doing to attract them to your space in the first place. Continue reading below to learn more! What type of environment do winged insects like? The thing about winged insects is they tend to live in a variety of different environments. Boxelder bugs, for example, prefer to reside in warm environments in which they can hide. Often you will find these pests in large numbers on rocks, trees, and the exterior of buildings. Additionally, they might be hiding in small cracks or crevices in walls during the colder months. Mosquitoes, on the other hand, prefer to live in areas that have stagnant water as this is where they lay their eggs. If you live in a hot and humid area or near a body of water, you have likely found that there a lot of mosquitoes residing on your property. Lastly, winged insects like moths prefer environments that are shady and have a lot of trees. Contrary to popular belief, moths do not like bright lights or well-lit areas and therefore, the more shade on your property or the darker you keep the interior of your home, the more likely it is that you will discover moths in or around your home. What prevention steps can you take to keep winged insects away? Insects, in general, are not something you want to have in your home and this becomes even truer when they are flying insects. After all, you can keep your eye on a crawling insect, but keeping up with one that has wings is nearly impossible. If you want to prevent winged insects from entering your home, there are several steps you can take. What can you adjust inside of your home to prevent winged insects? Clean out your pantry often in order to make sure there is no contaminated food being left in it. Make sure you keep your home clean. This especially includes your kitchen. Messes are the number one way people attract the majority of pests to their homes. If you keep your house clean, you won’t have to worry about pests infesting your space as they will not be able to survive without a food source. Wipe down any surfaces that may have had something spilled on them in the past. Sticky countertops are a great way to attract pests. Purchase a trash can with a lid to prevent pests from wanting to enter your home for the chance at a meal from your bin. Seal your windows from the inside in order to prevent them from having an entry point to your home. Create a trap using apple cider vinegar with a few drops of dish soap and leave it on the counter. Flying insects are attracted to liquids in general and will become trapped in the solution once they come into contact with it. What can you adjust outside of your home to prevent winged insects? Install screens in your windows if you do not already have them. Additionally, you can also purchase magnetic door screens so that winged insect do not get into your home anytime you want to leave a door open to get a nice breeze or each time you let your pets in or out of the house. Seal any cracks or repair rotten wood in the frame of your doors or windows. You should also make sure that you are inspecting the outside of your home often to ensure that there are no new openings that could allow pests a pathway into your house. Fix any gaps that are in the roofline of your home in order to close off any openings that could allow for hornets or wasps to build nests in the hidden portions of your home. Remove any stagnant water from the outside of your home. Whether it be a bird bath or a bucket of water you leave outside for your pets to drink from, mosquitoes will use these are a place to leave their eggs. Leave outdoor lights off in order to prevent attracting flying insects to your home. While you may not mind them while you are indoors, as soon as you open a door near the light, you will be dealing with pests both on the interior and exterior of your living space. Make sure that your outdoor trash cans are covered and not placed too close to your home. Need Help Identifying the Winged Pest in Your Home? One of the biggest struggles we have found that homeowners have is identifying the flying insects that are plaguing their space. Often an insect is buzzing about one second, only to disappear the next. This makes it much more difficult to know how to get rid of the bugs that are pestering you. Additionally, considering there are so many different species of flying pests, many of them have similar appearances, making a proper identification nearly impossible. Lucky for you, the experts at Earthwise Pest Management know how to identify any and every pest you can possibly think of. If you are struggling to get rid of winged insects on your own and you would like the help of professionals, call our Sacramento pest control team today. We would love to be the technicians you trust to make your home pest-free once again.